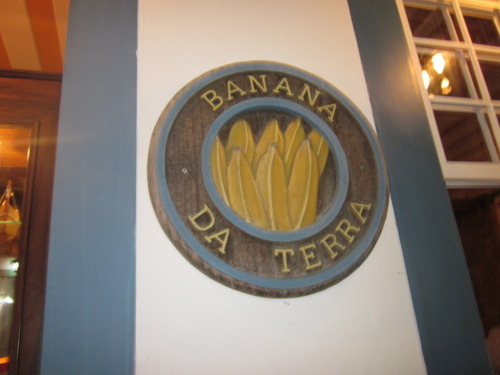 Located in the heart of Paraty, is Banana da Terra, a wonderful restaurant in a house that was originally built in the 17th century. 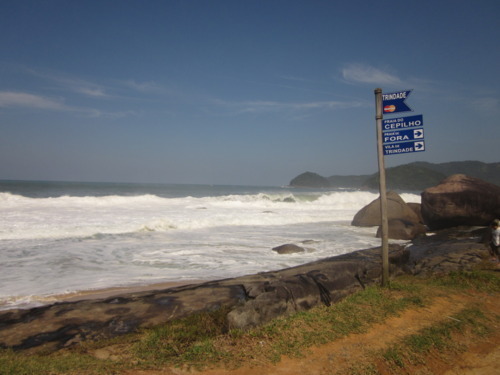 The restaurant is run by chef Ana Bueno-she used to be the Paraty community TV broadcast reporter before radically changing her profession (great move!). 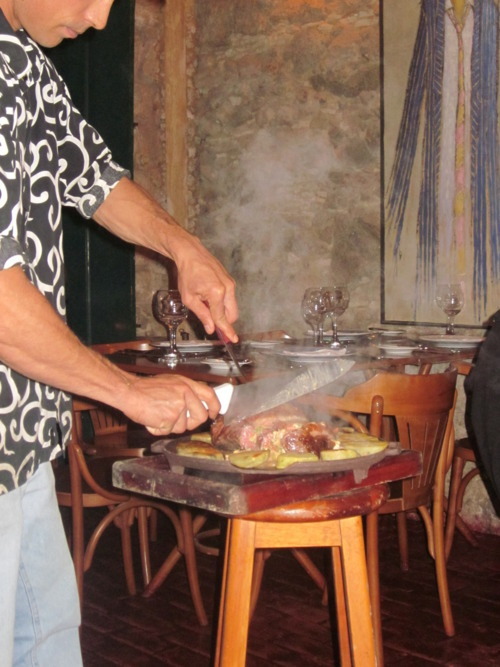 She brings strong reference to caiçara and regional cuisine, but with an air of modernity. 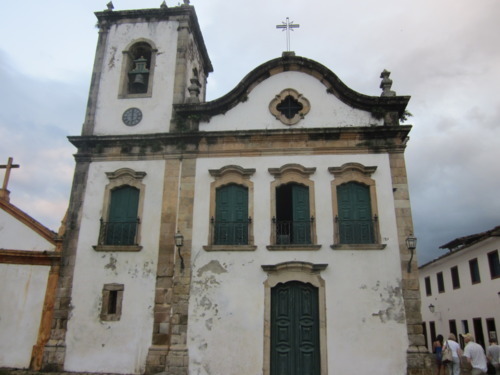 We started off with the couvert which included the usual fresh bread basket (Brazilians love their fresh bread), salmon, a soup and a shrimp puff. It was delicious way to start the meal. 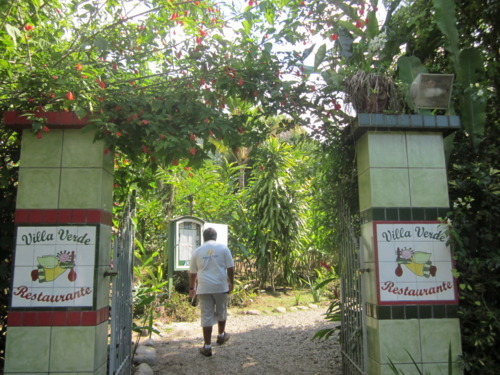 Sticking to tradition, caicara culinary is all about the extract from wilderness, harmonizing with local mother nature… Believe me, chef Ana does and excellent job as her menu offers dishes made with fresh ingredients from the region. Like the name of the restaurant, most items include some form of banana. 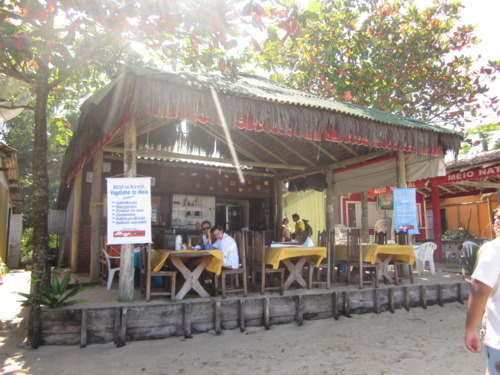 The dorado I had was truly amazing, I was actually disappointed when it was all gone. 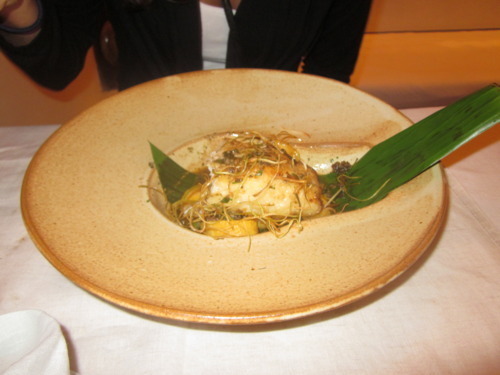 The fish was grilled with herbs and garlic butter with banana and leek crisp, perfection! 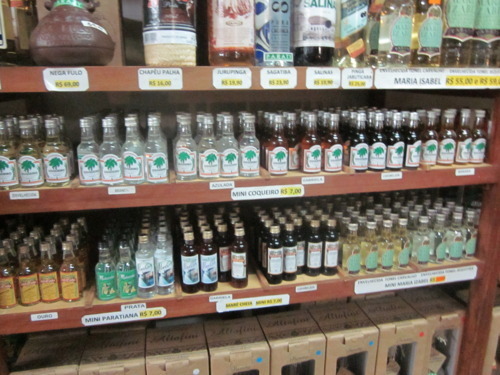 What Is Your Favorite Flavor of Cachaca? 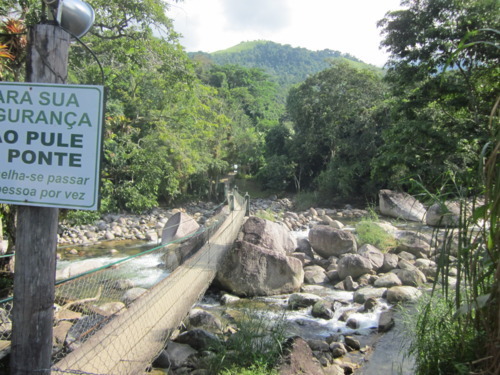 As part of our Paraty Tour in between splashing around in the different waterfalls we visited a few cacasha distilleries. 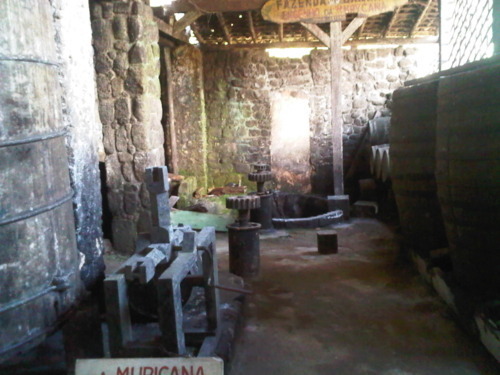 The huge drums keep the spirits aged for up to 22 years. The farm offers visitors a taste of their drips however the booze is only sold in Murycana Finance. 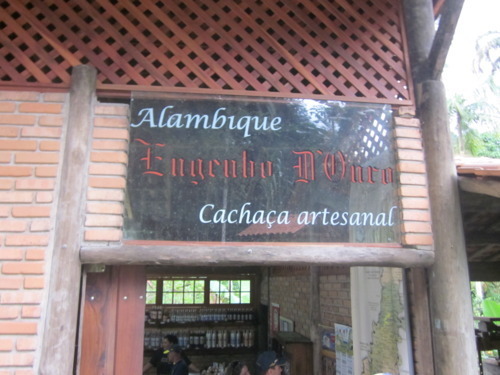 While we were there we tried 3 different types of cachaca: regular, 8 year aged (much smoother),and chocolate (which was my favorite of course). 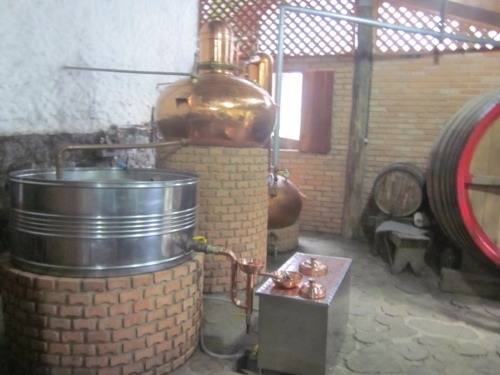 The next distillery of cachaca we visited was Engenho D’ouro. 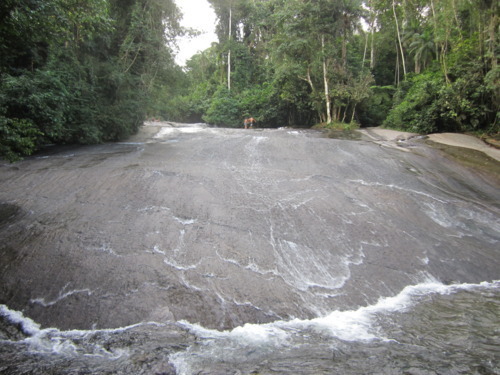 Here we saw the artesian process of fabrication. 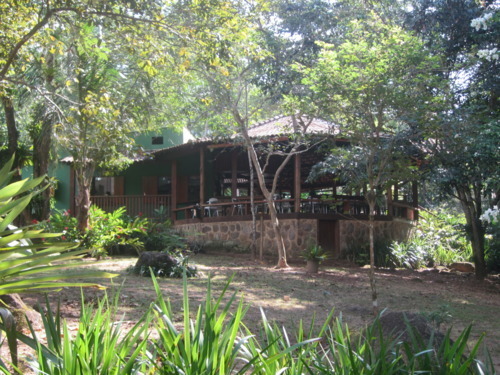 This plantation has a sophisticated production set up for one year aging in oak barrels or jequitiba. 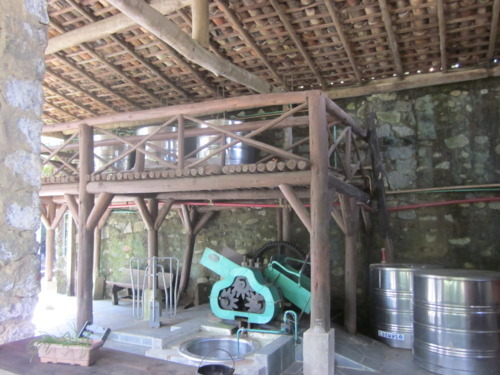 The production is totally handmade as in colonial times: From the cane plantation, until the alternative energy system that handles the production of the pure and delicious rum. 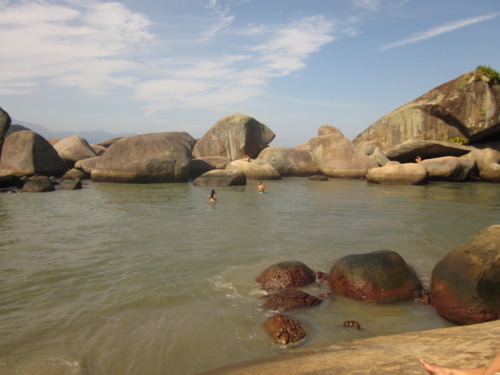 If you go to Paraty, doing one of the waterfall tours (Paraty Tours) is a must!For $60 for the day you will get to explore, swim in and slide down some of the most beautiful waterfalls in Brazil. 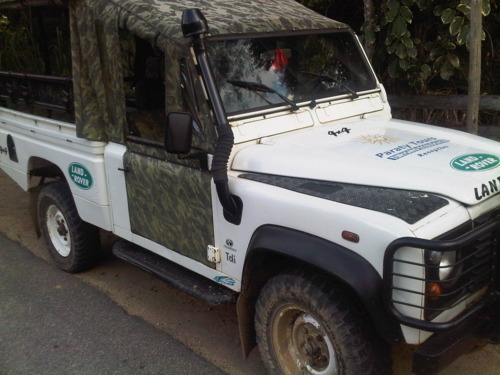 After splashing around for a bit, we hopped back in the jeep and headed towards Tarzã waterfall. 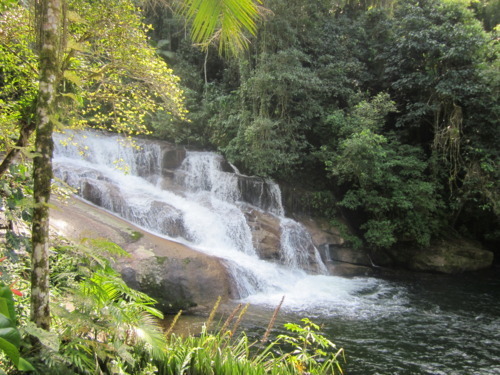 There is a mini hike to get to each waterfall and this was worth the twists and turns to get to! 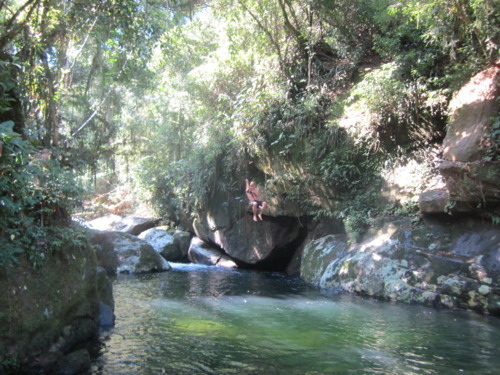 As you can see from the picture above, there was a rope that you can ‘Tarzan’ style swing from to enter the water! 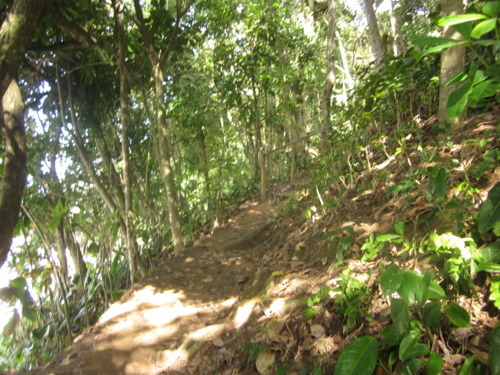 Before reaching our final waterfall we stopped at the entrance of the Gold trail, it took slaves 40-50 days carrying gold on their backs to get across the trail. Lots of rich history in this area. 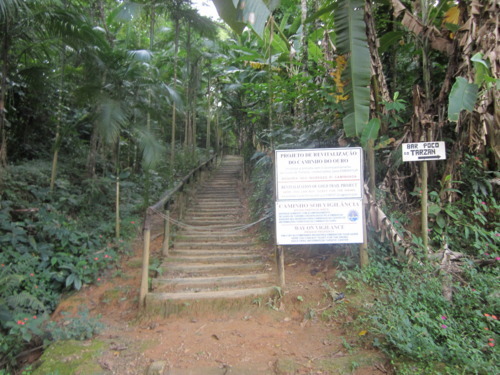 Then it was time for our final ‘trek’ to Tobogã waterfall. 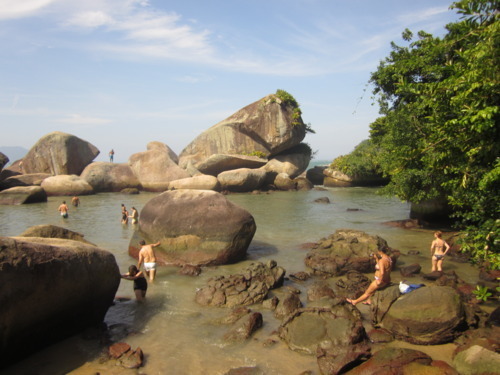 Looking For A Fabulous Restaurant In Paraty? 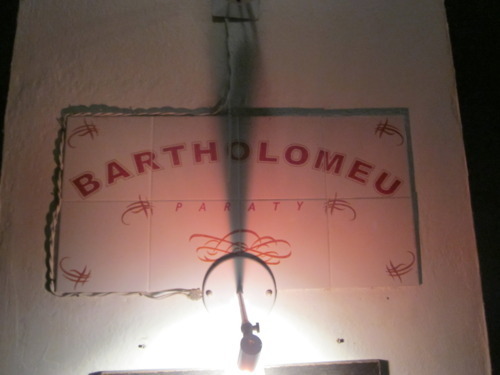 In the historical center of Paraty (near our hotel) there is an excellent restaurant named Bartolomeu Paraty. 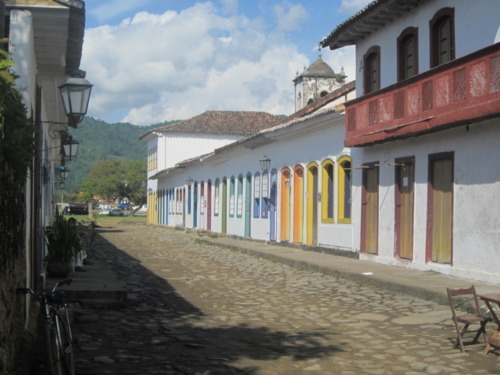 Bartholomeu Paraty has a warm and charming feel to it. The menu is stacked with a variety of fresh pasta dishes (the bolognese was fantastic), a number of fish options as well as the ‘sensational Argentine Rump Stuffed with Roquefor Sal Grosso’ (shown below) unfortunately we were not the ones who ordered it so were literally salivating over someone elses meal. 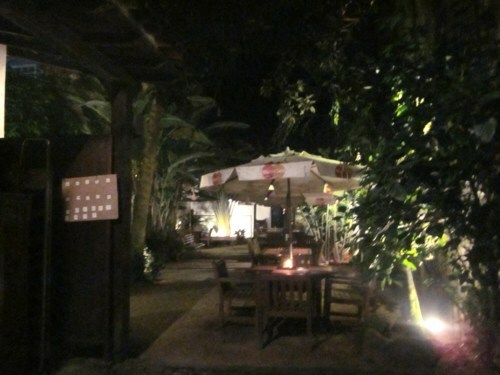 There is also a very cute outdoor area in the back, candle lit and very private, however it was a chilly night so we opted to sit inside. The ‘gateau’ for dessert was delicious, but then again it seems to be a Brazilian specialty so it is great pretty much everywhere. 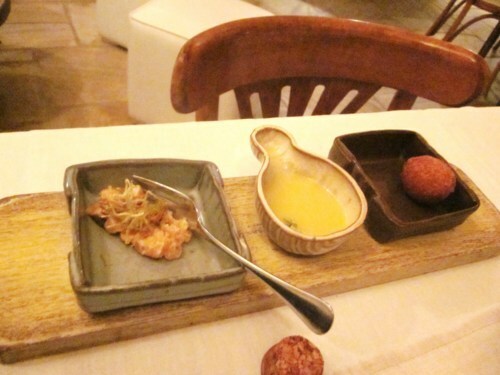 Overall, a wonderful dining experience that I would happily go back to and recommend! 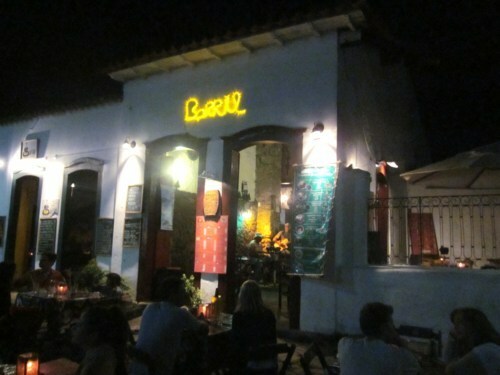 Barril is a good spot for drinks and live music, was a very popular spot while we were there, however skip the food- we waited over 45 mins for a salad that never came… better to go after dinner! Since there are a number of cachaca distilleries (will cover that in a future post) there are many types and flavors of cachaca to try— the chocolate one is delicious!! 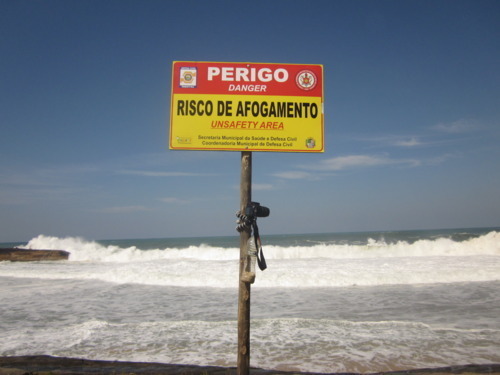 Not sure if you can tell from the picture, but the waves in Tindade were 15 feet high the day we were there!